A special thank you goes out to our host and our sponsor. Please help us show our support by kindly visiting their pages above. 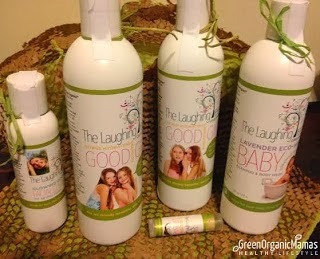 Read more about Laughing Tree Organics in the Green Organic Mamas Product Review. The Laughing Tree Organics is a line of healthy, organic beauty and personal care products that are animal cruelty-free and vegan friendly. 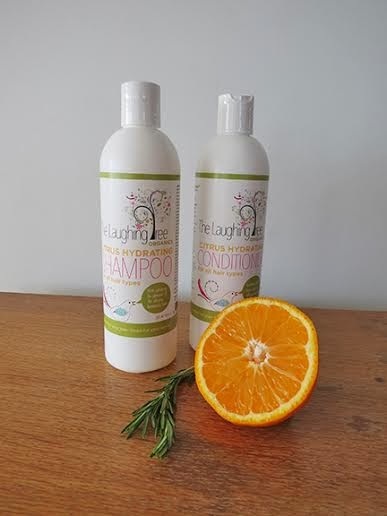 One winner will win a prize pack of all natural, organic shampoo and conditioner in choices of Hydrating Citrus, Good Girl Citrus or Volumizing Lavender. This giveaway will be open through January 4th of 2014.
own, and may differ from yours or this blog's. Baby and the Chi's is not responsible for prize fulfillment or shipment. I read a couple of the reviews, one woman commented on the ease of washing the shampoo out of her child's hair. This would be wonderful for us, my toddler son loves bath time but HATES washing the hair time! I'd really like to try the baby shampoo!